Patients who manage their pain and suffering with medical marijuana usually turn to CBD edibles to get the job done. CBD edibles are made by extracting the active cannabinoids out of a high CBD plant by heating it in oil or butter. After it’s been extracted from the plant, it’s then cooked into a variety of foodstuffs. CBD edibles are preferred by some patients because cannabidiol (CBD) provides highly therapeutic pain management and, when cannabis is ingested, the effects last 2-4 hours longer than smoking or vaping. Here in this guide we’ll go over everything you need to know about CBD edibles, where to find them, and what types to look for. Where Can I Buy CBD Edibles? What’s the Difference Between THC & CBD Edibles? How Safe Is Buying CBD Edibles? How Much Are CBD Edibles? What Are the Best CBD Edibles? If you’re trying to buy CBD edibles in the state of California, you’ll need to have your CA medical marijuana recommendation/card before you can legally purchase. Even though CBD doesn’t have any psychotropic effects and won’t get you “high” (that’s caused by tetrahydrocannabinol (THC)), you’ll still need a doctor’s written approval to purchase CBD infused cannabis products. In California? Click here to order cannabis delivery online from dispensaries in your area. Choose from thousands of products, compare prices, and get doorstep delivery in about an hour! But don’t worry, getting your doctor’s recommendation is easy, and NuggMD makes it even easier. Use NuggMD’s online evaluation services to get both your medical marijuana recommendation and ID card online in less than 15 minutes! In California, the only legal place to get any kind of edibles is directly from a dispensary storefront or delivery service. Unfortunately, you won’t be able to get products shipped to you by mail from dispensaries, only via courier hand-delivery. Likewise, CBD edible companies can’t legally sell their products directly to patients; instead, these California companies only sell their products wholesale directly to medical marijuana dispensaries. But you might be wondering, where can I get the best CBD products? You can use search engines like Google and Weedmaps, or save yourself the trouble and order through the world’s largest online cannabis delivery marketplace, Nugg. Use this simple online delivery service and have CBD chocolates, CBD candy, CBD gummies, and other CBD infused products quickly delivered to your home address. And, if you’ve used NuggMD to become a legal marijuana patient, you’ll instantly get $20 for your first delivery! Watch out for anyone or any company claiming to send edibles through standard mail, UPS or FedEx. Not only do you risk getting inferior products, it’s illegal and you could risk prosecution. There are two different types of CBD, but each isn’t created equal. Cannabis CBD is extracted from CBD rich plant material and is used to treat a variety of medical conditions like epilepsy, depression and inflammation. The key is a balance of high CBD and low THC, or a lower, equal ratio of CBD and THC. 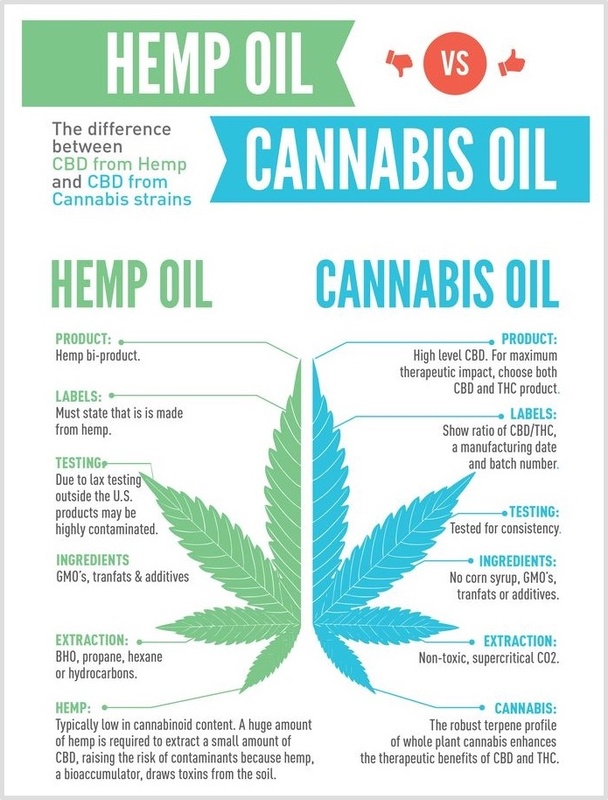 On the other hand, hemp CBD is used in the creation of industrial goods like paper, rope and clothing, and contains an extremely small amount of CBD, not enough to be considered medically beneficial. Beware of sites like healthyhempoil.com, ushempwholesale.com and buycbd.co that sell hemp CBD edibles claiming healing properties. Remember, these online retailers sell hemp oil seed derived CBD edibles “legally and internationally” that serve no recreational or medicinal purposes. Not only will these CBD products provide you with no medicinal benefits, the distribution of CBD remains illegal, no matter what form it takes. Companies with access to hemp oil have an agricultural license for maintaining and harvesting hemp crops for industrial purposes. In order to do so, they must have permits and abide by strict regulations. Unfortunately, the DEA considers all extracts of cannabis to be a Schedule I substance, so you’re much better off going through an established medical marijuana dispensary or delivery service for your high CBD edibles. THC and CBD are two cannabinoids that work together, have different individual effects, and can be used in different ratios to treat different symptoms. Generally, if you’re using cannabis medicinally, you’ll find most products are high in THC and relatively low in CBD; but that’s not to say each product category doesn’t have its fair share of CBD-dominant products. THC heals your body while giving you that pleasant, psychoactive “high” feeling, and activates both of the internal cannabinoid receptors found in the body, CB1 and CB2. The CB1 receptors are located throughout the brain, central nervous system, and corresponding organs; CB2 receptors are related to a person’s immune system and located in organs like the spleen and tonsils. Unlike THC, CBD is a potent healer that won’t get you high, and doesn’t have much bonding affinity to either the CB1 or CB2 receptors. Instead it counteracts the psychotropic effects of THC like anxiety and paranoia by blocking THC at the CB1 receptor, nulling its psychoactive effects. It also benefits the body’s protective endocannabinoid response by suppressing the enzyme that breaks down one the body’s own cannabinoids, anandamide. The more anandamide, the greater the cannabinoid activation will be. Different ratios of the two cannabinoids produce different effective treatments. Charlotte’s Web is a high CBD/low THC strain (20:1 CBD:THC) used for treating seizures; Harlequin (5:2 CBD:THC) is used for chronic pain and anxiety; and ACDC (22:1 CBD:THC) helps treat people suffering from pain, epilepsy, multiple sclerosis, anxiety, and the negative effects of chemotherapy. Whether you order edibles online or in-person, the process can be simple, safe, and easy. As long as you make your purchase through a storefront or delivery service, the only thing you have to worry about is the quality and accuracy of your order. Although there are many types of California edibles out there, only a few brand name CBD edibles like Kiva, Sensi Chew, Bhang, Cheeba Chew and their offshoot Green Hornet provide detailed information about their products, making sure that all ingredients are safe for consumption. They’re lab tested and thoroughly reviewed by both doctors and patients. When looking at CBD edible brand names, be sure to look thoroughly for a list of ingredients, THC:CBD ratio, strength, and do some research on the product before you buy a CBD edible that might be lacking in quality or efficacy. If you do come across any dispensary-made edibles, they typically don’t come with much product information, much less the CBD dosage. Not knowing what’s in them doesn’t exactly mean that they’re dangerous, but consuming a product you know nothing about isn’t exactly safe either, and we wouldn’t recommend it to anyone. Use personal discretion when making purchases both in-person and online. You should be cautious of products that are personally or carelessly packaged if you’re unfamiliar with the dispensary. If you’re not sure about about the edibles’ quality, don’t make a foolish purchase! You’re better safe than sorry. Just like buying MMJ, the price of CBD chews, lollipops, drops and other CBD candies depends on a slew of individual factors, mostly related to cannabis content ratios and culinary craftsmanship. For example, Bhang has made a candy-like mint mouth spray and chewing gum for people who want to be discrete, and Venice Cookie Company Brands produces a variety of artisanal vegan edibles, organic, gluten-free, sugar-free, and health-centric CBD edibles alongside their already booming selection, including the sugar-free, vegan CBD Zinger cookie and cane sugar hard candies. For the most part, you don’t want to spend more than $10 per 100mg of a CBD-infused edible product. Where can I get CBD edibles? Look into what your local medical marijuana dispensaries offer. You’ll usually find first time patient offers, happy hours, other great deals, and competitive prices for various products. Both dispensary storefronts and delivery services offer all sorts of deals, but placing a delivery order can be a bit more expensive. The best CBD edibles really depend on what you’re looking for. Some THC:CBD ratios are better for specific medical needs; some might be healthier or more appetizing; and others could simply be out of your price range. You also might’ve noticed that there isn’t a wide selection of CBD dominant edibles to choose compared to all of those seemingly endless THC dominant goodies. But the good news is their popularity is growing! The most popular brand names on the cannabis market already carry some seriously amazing treats.. The most common CBD edibles are chocolates, cookies, and chewy taffy, but some brands carry specialty products like candies, gums, and even drinks. Bhang is well known for their award winning edibles, with their CBD Mint Spray even taking the #1 spot in SoCal’s 2015 Cannabis Cup. Day Dreamers and Kiva also make highly acknowledged artisan CBD chocolates, with both of these companies taking home the first place prize for best edibles at the Cannabis Cup at some point or another. Cheeba Chews pure CBD has been praised by patients suffering from seizures and other chronic conditions. If you’re looking for a wider variety of products other than chocolates and cookies, Venice Cookie Company Brands has included CBD candies, teas, and drinks to their menu. Browse their site and you’ll notice they also provide several health-centric options, including vegan, sugar-free, and dairy-free edibles. Whoopi & Maya focus on women’s health, and their Raw Cacao is aimed at soothing everything from migraines to mood swings. “My mother uses a high percentage CBD strain for her illnesses, she intakes it orally through edibles and tinctures. There is no buzz to it, but the pain relief is incredible. She takes her medicine before going to bed and she wakes up feeling great.” –O.J.P. Complete and information packed article on CBD edibles. I read the article in full and grabbed some few interesting points that will help me on my research, going forward. Thanks for this. I am a novice. Never smoked marijuana but someone irresponsible served me brownies with coffee … I was so paranoid, I held onto the edge of the table in fear..it was terrible. So now I went to a dispensary following the prompting of friends and bought some candy CBD no trip included .. 10mg and I took 1 (chewable) last night and one this morning with breakfast. I had 2 back surgeries and the pain is chronic and excruciating at times. I don;t how often I can take it.